NOBLESVILLE, Ind. -- Prosecutors have filed charges against an Indiana student who is accused of opening fire in a classroom last month, injuring a teacher and student. The prosecutor filed a petition on Tuesday alleging the 13-year-old shooter is a "delinquent child," meaning he committed acts that would be a felony or misdemeanor crimes if committed by an adult. The Hamilton County, Indiana Prosecutor has released the name of the 13-year-old suspect, but WCPO's Indianapolis sister station, WRTV, does not name juvenile offenders unless they are charged as adults. 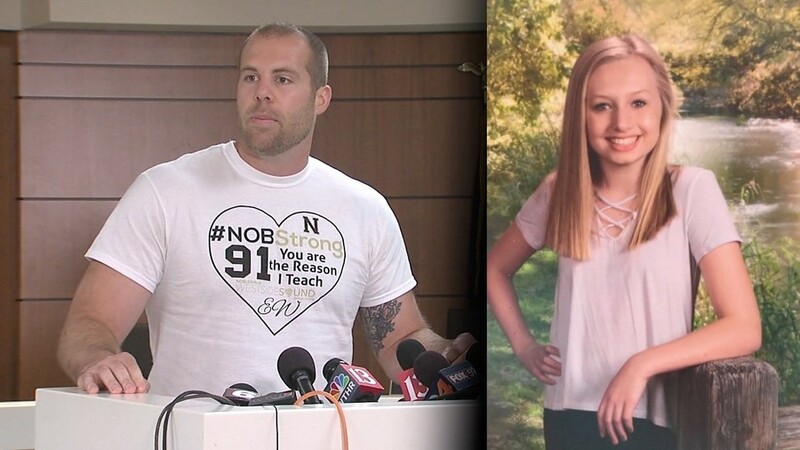 The teen is accused of walking into a classroom at Noblesville West Middle School with two handguns and opening fire, hitting Ella Whistler seven times and her teacher, Jason Seaman, three times. New court documents released Wednesday showed he had a .22-caliber handgun and a .45-caliber handgun. Seaman was released from the hospital the following day. Whistler remains hospitalized with multiple injuries but family members say she has been recovering a little more each day. "As a Prosecuting Attorney, I do not make the laws applicable to criminal or juvenile cases. My office works diligently to seek justice and enforce the laws as they exist. Under current Indiana law, this case is not eligible to be heard in adult court despite the heinous or aggravated nature of the alleged acts and despite the serious harm caused." Under the above-referenced current laws, a child thirteen (13) years of age can only be waived to adult court if the attempt to murder an individual or individuals is actually successful. In this case, due to the heroic and extraordinary efforts of many people, including teachers, a school nurse, the Noblesville Police Department School Resource Officer, and many other first responders and medical providers, thankfully, Jason Seaman and Ella Whistler survived. This blessing results in this matter remaining in the juvenile justice system under our current laws, a result which will, I am sure, be very troubling and unsatisfying for many people. The accused shooter has an initial hearing set for June 11 at 8:30 a.m. A trial date has not been set. You can read the full petition for charges filed by the Hamilton County Prosecuting Attorney below.